Whether you’re in Rio to catch some events during the Olympics 2016, or have chosen the timeless city as a destination for your summer holidays, we’ve got some addresses to flag for some out-of-the-ordinary souvenirs. 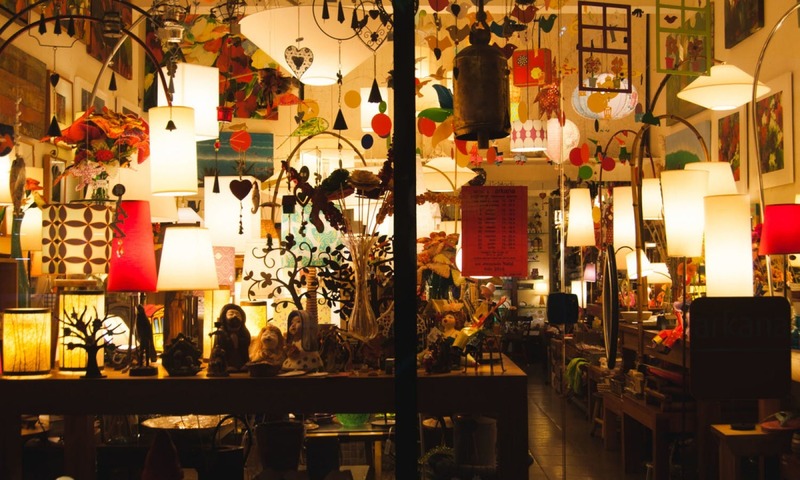 Whether you’re looking to take home an unusual souvenir, or some respite from the hard life of sunbathing and sightseeing, or maybe just to divert your attention from the sporting events happening in Rio de Janeiro during the Olympics 2016, shopping is always a good idea. The timeless Brazilian coastal city has plenty to offer from handicraft shops, unique markets and the best that Brazilian fashion and design has to offer. From stylish beach-chic looks to interior design passing by local chocolate, delicious cachaça and even bamboo clutches that have been snapped up by the trendiest it girls and Hollywood royalty alike, we’ve collated a list of shopping destinations to visit while in Rio. You can’t go to Rio without doing a spot of swimwear shopping. There’s, of course, plenty on offer, from high fashion swimwear designers like Rosa Cha, barely-there suits by Adriana Degreas and Lenny Niemeyer are favorites amongst Brazilian and international models of course. For men, Blue Man has famously sold swimming trunks to Bill Clinton, as well as a footballer or too. If you’re looking for an equally Brazilian yet less pricey bikini option, I suggest haggling with one of the many bikini sellers who station on Ipanema or Copacabana pavements just waiting to make a deal. Stepping into Arkana is like stepping into another dimension. Gone is the bright equatorial sunlight and you’re catapulted in a space that is chock-a-block with all sorts of “stuff”. From contemporary art, selected lovingly by the owners coming from different regions of Brazil, to pottery, gifts, glass, lighting and much more. For those looking for an easier space to navigate, Mucki, a socialite come textile designer’s eponymous showroom is a burst of color and textiles. Atelier Denise Stewart, on the other hand, has some beautiful hand-painted pottery that will look great in any house, on any side of the Atlantic. While for bigger pieces, in a stunning industrial-chic space with plenty of design ideas head to Mercado Moderno di Brasil. Here you will find furniture as well as smaller pieces you can take with you on the plane home. It’s almost impossible to ignore the hippy vibe you get in certain areas of Brazil, and in certain areas of Rio. The Hippy Market is, of course, a must stop for the tourist looking for some curio to take home with them. Here you will find plenty to feed your visual appetite with jewelry, leather bean bags and the ultimate hippy piece of designs: hammocks. 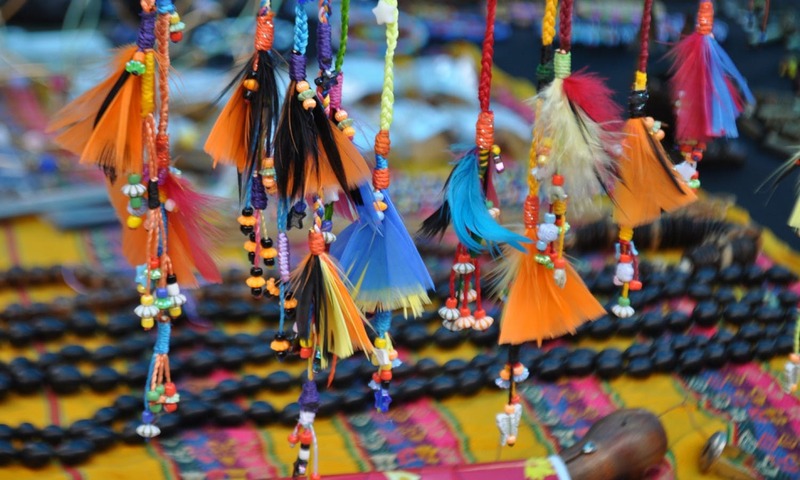 Pé de Boi sells folk arts and crafts from several regions of Brazil. For the lovers of Animalia, they stock impressive representations of Brazilian fauna. Easier to take home are the delicate lace pieces, woven baskets, jewelry and fabrics. Do not leave Rio without taking a turn in Garrafeira, a charming liquor store which of course sells a wide range of delicious cachaça. 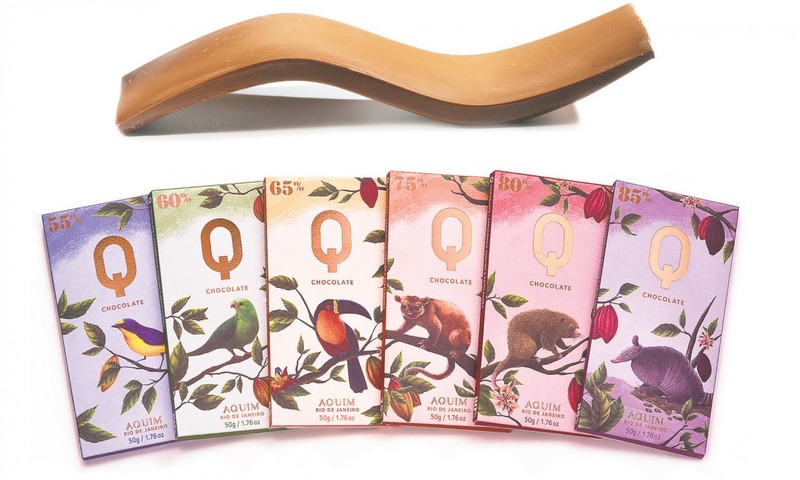 Chocolate Q Aquim is a beautiful and decadent chocolate store situated in the Village Mall. Here the chocolate is, of course, local, all made with beans grown in the Cacao Coast in Bahia and then transformed into delicious and artsy bars designed by the likes of architect Oscar Niemeyer. While in Rio why not pick up some local fashion? A port of call for men has to be Richards for fresh linen wear baring tropical prints, which reflect the laid-back attitude of the Carioca dweller, while for a casual beach chic look Osklen t-shirts are a must. 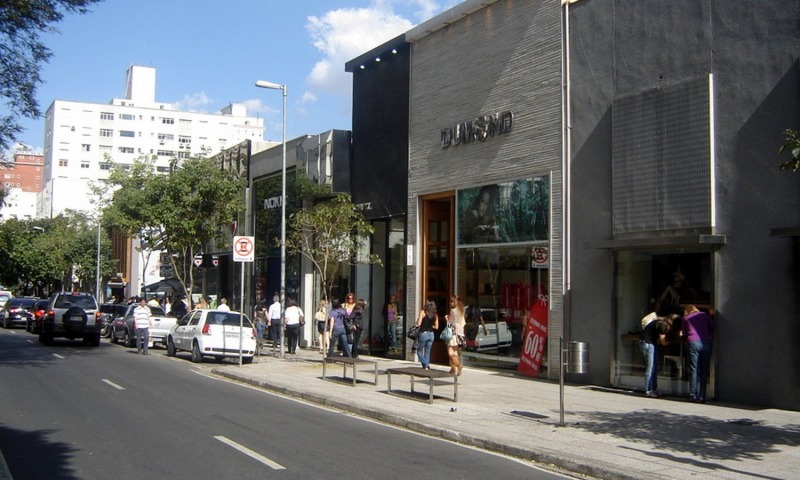 For the fashionista on holiday, Isabela Capeto is the place to shop for modern bohemian Rio fashion. Here you can find everything from beautifully embroidered womenswear to cute childrenswear and even a home collection. Also while in Rio why not pick up an iconic Glorinha Paranaguá bamboo clutch?